Did you hear there was something special about the full Moon this weekend… that it would be, well… really super? I heard about it on every newscast I watched or listened to. Even xkcd got into the ‘Supermoon’ craze. 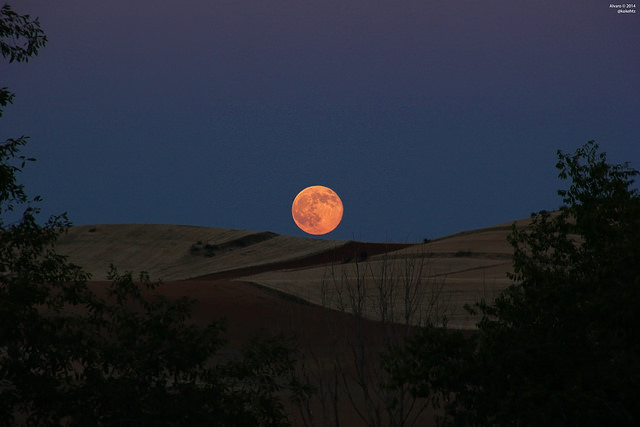 The July “Buck” Moon was the first of three Supermoons on tap for 2014, where the Moon is at its perigee, the closest point to Earth in its orbit, close to the time when it is “officially” full. And people were out with their cameras, too! Here’s a great collection of full Moon images from this weekend, as seen in our Flickr Gallery. 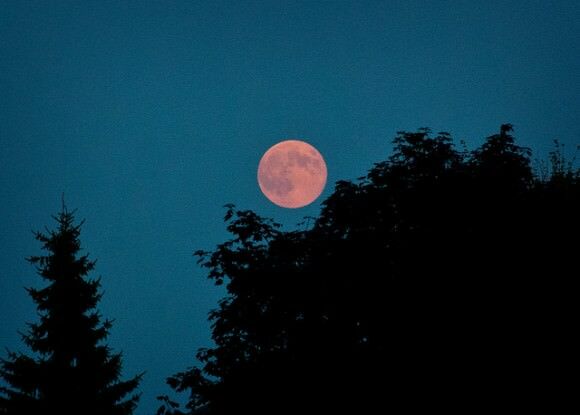 An over-exposed beauty showing the full Moon rising through the clouds on July 12, 2014 near Bromsgrove, England, United Kingdom. Credit and copyright: Sarah and Simon Fisher. 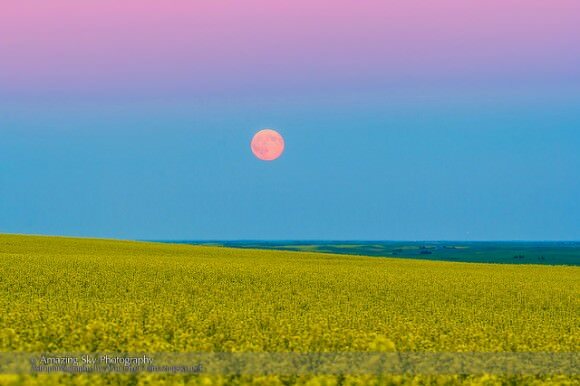 The rising “super moon” of July 12, 2014, rising above a canola field in southern Alberta, Canada. Credit and copyright: Alan Dyer/Amazing Sky Photography. 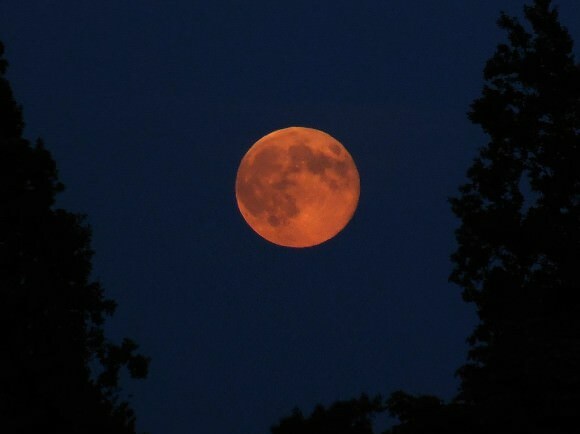 A Mississippi Super Moonscape on July 12, 2014. Credit and Copyright: Veronica M Photography. The ‘Supermoon’ setting on the morning of July 13, 2014 at around 6 am local time near Kapiolani, Honolulu, Hawaii. Credit and copyright: Henry Weiland. A 3-exoposure of the full Moon on July 12, 2014, taken near Cap-Rouge, Quebec City, Quebec, Canada. Credit and copyright: Denis Marquis. The July 12, 2014 Supermoon or perigee full moon shares the night sky with fireworks from a display in Chester, New York. Credit and copyright: Tom Bushey. Moonrise with a flyby. July 13, 2014 from the UK. Credit and copyright: SculptorLil on Flickr. The rising waning Moon on July 13, 2014, from near Bedfordshire, UK. Credit and copyright: DawnSunrise on Flickr. Thanks to everyone who submitted images! Check out even more great images in Universe Today’s Flickr Group! Be advised that this month’s big full Moon was not the closest of the year. 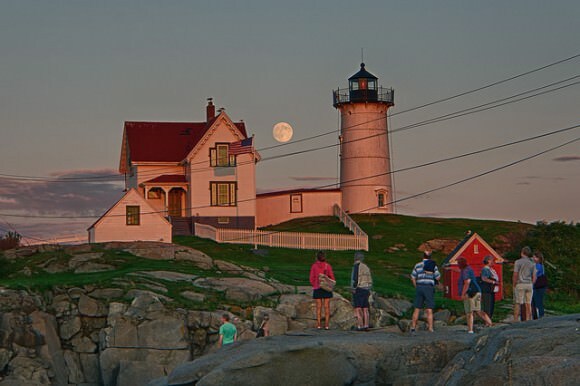 The closest Full Moon of 2014 occurs next month on August 10th at 18:11 Universal Time (UT) or 1:44 PM EDT. On that date, the Moon reaches perigee or its closest approach to the Earth at 356,896 kilometres distant at 17:44, less than an hour from Full.